Knocking a girl over isn't just flirting, a new PSA from Australia reminds us—it's an early sign of contempt for women that could lead to more serious acts later in life. The chilling ad, created by the government and agency BMF to prevent violence against women in future generations, features an escalating montage of disconcerting scenarios. First, a boy slams a door in a girl's face, knocking her onto the floor. 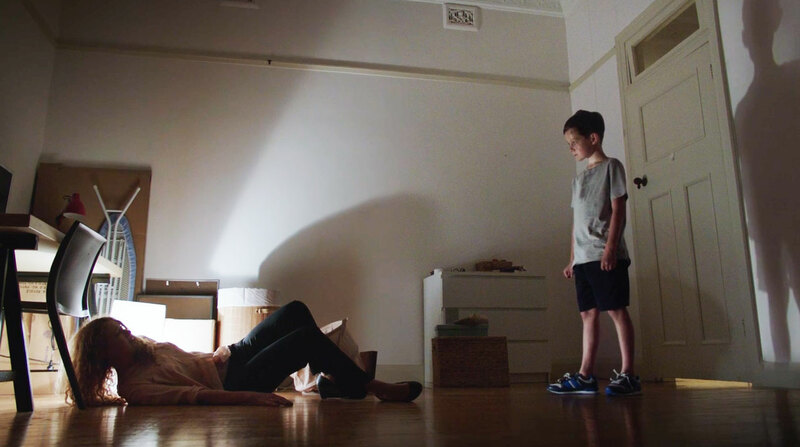 Her mother quickly forgives the bad behavior with the old "He just did it 'cause he likes you"—an act that causes the boy's momentarily conflicted face to smoothen with certainty as he runs off. Next, a father at an afternoon cookout tells his son not to throw like a girl (phrasing against which Always has made powerful rebuttals). The camera cuts to the quiet—but crestfallen—face of the boy's catch partner: a girl. Then, a teenage boy at a house party snaps a photo down the shirt of a girl who's bent to pick something up, turning to share it with a friend as she backs away, embarrassed and afraid. A boy sitting nearby looks visibly uncomfortable, but says nothing. Fast forward to adulthood, where a couple are arguing inside a car. The man, furious, storms out of the vehicle and into the parking lot, but not before banging on the passenger side window, inches from his partner's face. "You're OK," she tells herself. "He loves you." In the PSA's final scene, a man chases a woman up the stairs, yelling and charging as she backs away—eventually tripping and falling backwards. He towers over her as she cowers, terrified. The light flickers, and in front of her stands the same boy from the first scene. 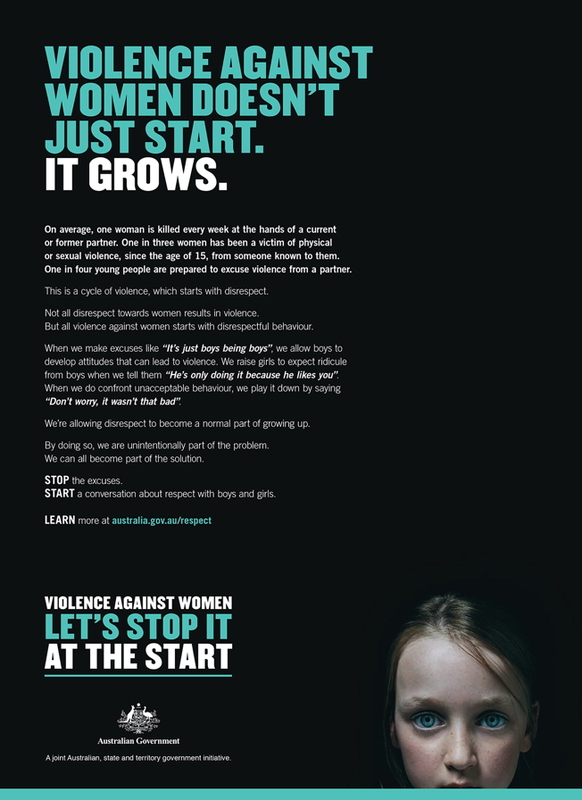 "Violence against women starts with disrespect," says the voiceover. "The excuses we make allow it to grow. Let's stop it at the start." It's a skillfully produced piece of messaging—one that's upsetting at first watch, but gets increasingly disturbing on repeat viewings. The boy's expression in the first scene, for example, feels more and more sinister. All the segments are well staged and acted, with a richness of detail and precision in the subtext of the performances. In the men, a growing disrespect for women manifests in casual, dehumanizing disregard, or unchecked physical rage. In the women, we witness trembling panic or hyperventilation, and meager attempts to rationalize away fear. The cues are so efficient that it's almost easy to miss their full depth and impact. But the ad also makes such deft use of repetition—slamming doors are one theme, and the echoing excuses for worsening violence throughout different stages of life—that the final point punches through clearly. It's all the more resonant for the fact that most of these incidents seem trivial to many. A pair of print ads explain in more detail why they aren't. They include awful statistics around the issue, like how, every week, one woman in Australia is killed by a current or former partner. For anyone who needs further convincing, in the U.S. it's more like three a day.